If 2016 was my breakthrough year, I think there is plenty for me to be optimistic about 2017. So much has been said about Brexit, the American elections and the problems facing the world today. As I was reflecting over the New Year about the past year, I realised that some things are not in our control but there are certainly more things that are! You might not understand about this now but certainly at the end, I hope you’ll see where I am coming from! Coming to Cranfield for my master’s programme is turning out to be one of the best decisions I have ever made. Six years ago, I would not have imagined myself embarking on a master’s programme. At that time, things were uncertain as I had to repeat my A Levels twice before I made it to Leicester University to read mechanical engineering. Hope was the only factor that kept me going and I was committed to never giving up on my dreams. After graduating with a mechanical engineering degree, I decided that my learning journey should continue. Several people advised me to have some work experience before starting my master’s. I wanted to follow my heart and where I could shape my career through hardwork. So I decided to apply to Cranfield University. It stood out among all the universities because I was impressed with the work the university was doing to make a difference to our lives. I first considered coming to Cranfield to study aerospace materials but I attended a Royal Academy of Engineering event and happened to meet two lecturers from the School of Management. After talking to them I reconsidered. One of them observed me during a group exercise and said that he could see me being a good leader, with the right training. So, I began to think about pursuing the master’s in management instead. From the first day I stepped into Cranfield University, I have loved the way the lectures are conducted, my classmates and lecturers who believe in me. This has certainly helped my personal development in many ways. 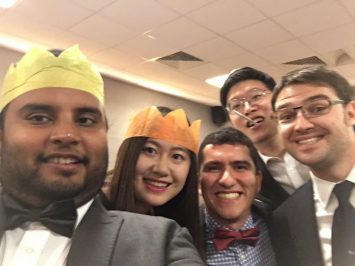 The Cranfield journey has been an enjoyable one as the School of Management regularly organises socials for us. The bowling social and Christmas ball stood out as one of the best memories of 2016 as I built friendships and memories outside of class. I think Cranfield is a great place to be in as everyone is passionate in whatever they do, be it in research or whatever work they are involved in. One of the things that struck me was when my course director, Professor Michael Dickmann, urged me to become a course representative. I took up this opportunity as he told me he believed in my abilities as a leader. I rarely had people who gave me encouragement to take up such opportunities. The lecturers believing in a student’s abilities is a testimony that Cranfield is a place that everyone can develop. 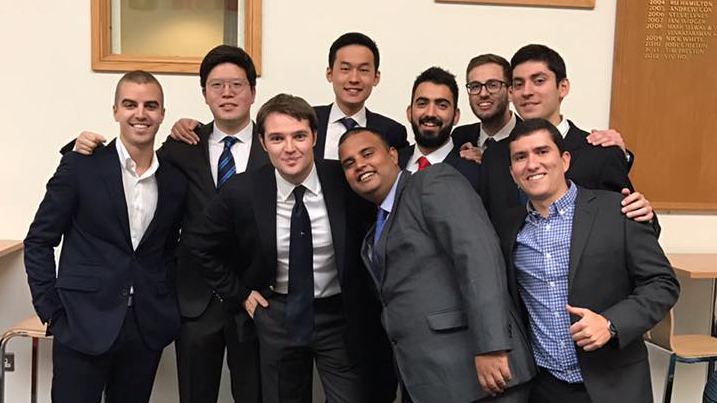 Ever since I came to Cranfield, I have stepped out of my comfort zone as I wanted to have a diverse experience. Michael encouraging me to do that make me realise that it is important to take action and try to make things better, rather than being passive and believing that things are out of your control and can’t be changed. I also think it is important to say that I’ve had the opportunity to meet about 25 different nationalities in the same class. It creates an unique learning experience with so much of diversity in terms of knowledge and ideas exchanged. At a time when when everyone is talking about Brexit and President Trump, I think working with people from all around the world is more vital than ever. What honours did you get for your Mech Eng degree and what is the future industry that you would like to enter?